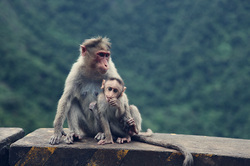 Our journey begins on the palm-lined shores of Kerala, described by National Geographic as one of the "ten paradises of the world." We will reside at the award-winning Somatheeram Ayurvedic Center, where each individual will receive a personal ayurvedic consultation and recommended course of treatment. Healthy, fresh meals are prepared daily according to each individual's dosha (constitution) and Ann will teach morning yoga and evening meditation. See India Retreat 2011 for photos! 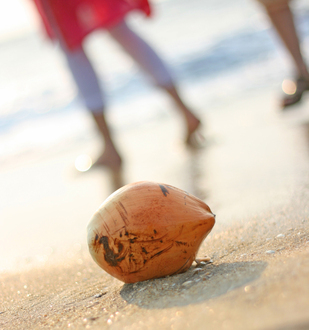 Somatheeram in located directly on the white sandy beaches of Kerala. There will be plenty of opportunity to swim and relax o nthe beach in the afternoons. 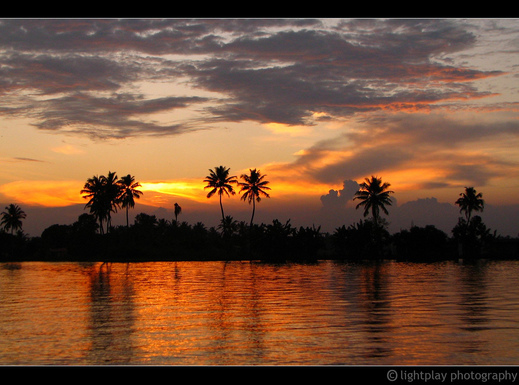 Spend an afternoon exploring Kerala's backwaters on one of their famous houseboats. Ayurveda, sanskrit for "knowledge of life," is often referred to as the sister science of yoga. Ayurveda attends to the wellbeing of the whole person by caring for the body and mind via diet, lifestyle practices, and treatments. Ayurvedic procedures are designed to balance the proportion of natural elements (Earth, Water, Fire, Air, Space) found in each person over the course of the year's changing seasons and through the various stages of one's life. These treatments are documented in the scriptures of ancient Himalayan culture, and have been in use over the last 4,000 years in what is now India, Pakistan, Tibet, Sri Lanka and Ceylon. 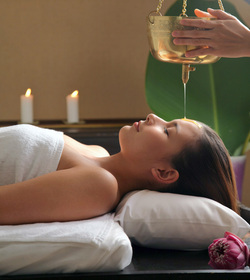 A hallmark of Ayurvedic procedures are oil therapies because "Sneha is to the bodymind as love is to the soul." The body tissues soak up oils like a sponge in water, nourishing and building them, and carrying deep into the cells the properties of the herbs infused into it. The manner of applying the oils, the strokes and amount of pressure, helps keeps the flow of energies in the body and mind moving according to their proper natural order. Most evenings Somatheeram offers a cultural evening program. 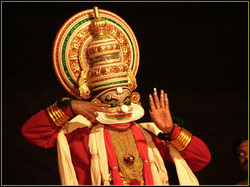 Performances might include Classical Indian Dance or Music. Talks on Ayurveda or Ayuvedic Cooking Demonstrations may also be given.